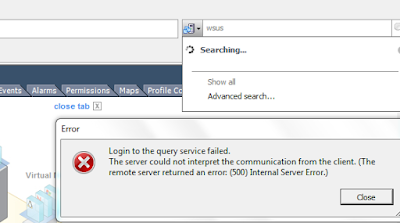 Or, Error: The server could not interpret the communication from the client. (The remote server returned an error: (500) Internal Server Error.). Or, Search option not working in vSphere client “Error Login to the service query failed”. Guys, This is known issue with vSphere client; however you have some workaround on this. 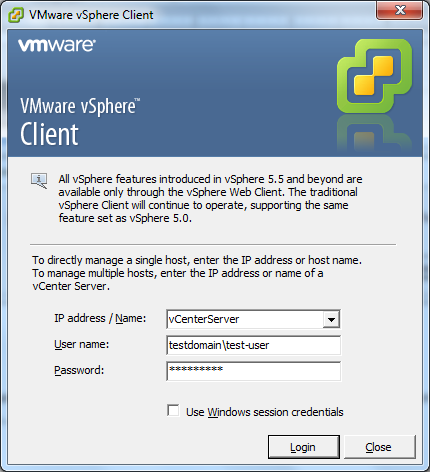 Please check this VMware reference KB: https://kb.vmware.com/selfservice/microsites/search.do?. 2. Do not use SSO method while connecting to vCenter using vSphere client (un-Check “Use Windows Session Credentials” while login in to vCenter Server using vSphere traditional client software.